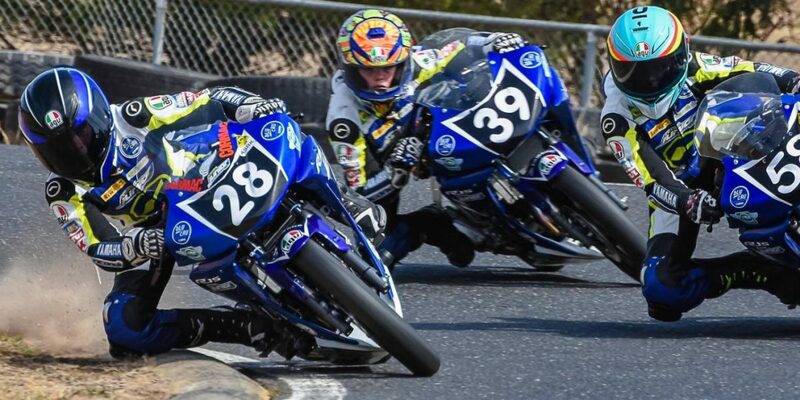 Tom Drane has proven he will be yet another of the names to watch this season in the bLU cRU Oceania Junior Cup, as he took out Race 1 of Round 2 this weekend (5-7 April) at the State Motorcycle Sports Complex in Broadford, Victoria. 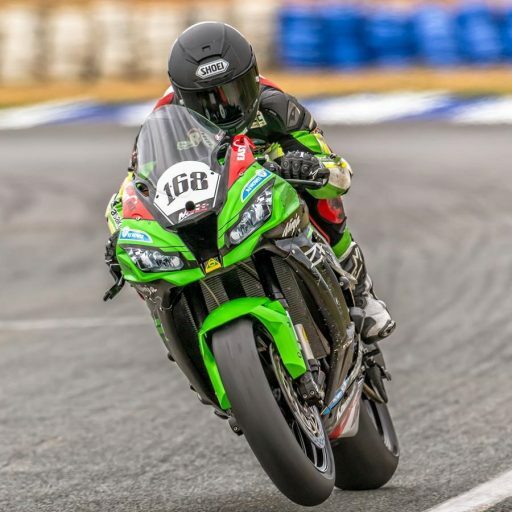 In a race that was hallmarked by close battles and frequent changes for the lead, Drane managed to come out on top of a talented field to take victory in the first race of the weekend. 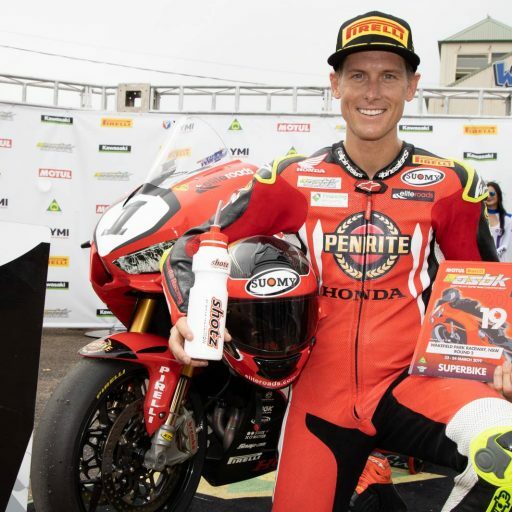 The riders showed they weren’t mucking about as the qualifying sessions got underway, setting blistering lap times that saw the front runners into the 1:12 bracket early. Cros Francis came out on top, setting the fastest time in qualifying with a 1:12.029 to land himself on pole, 3 tenths up on Kiwi Cormac Buchanan (1:12.378). Completing the front row was Jacob Roulstone (1:12.387), with Angus Grenfell heading up the second row (1:12.408). Wakefield Park victor Carter Thompson had a little more difficulty adapting to the Broadford layout, and ended the session fifth fastest (1:12.566) ahead of Jacob Hatch (1:12.597). The battles started right from the off with the field heading five-wide through turn two in the battle for the holeshot. Roulstone emerged in first position followed by Grenfell, and Thompson made up two places to slot into third. 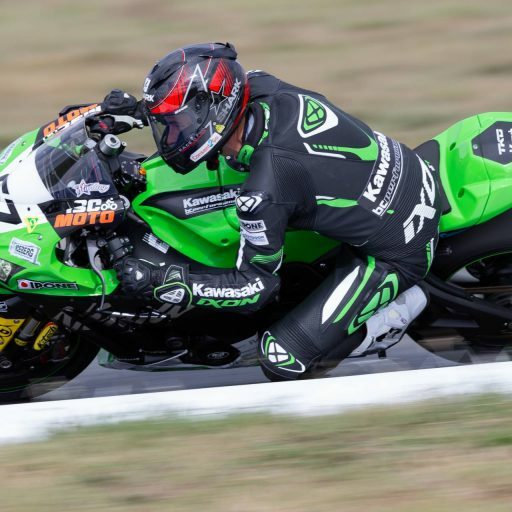 Francis couldn’t capitalise on his pole position as he was bundled back to fourth, but in a perfect example of the hard-fought nature of the Oceania Junior Cup Francis had catapulted to the lead by the end of the second lap. Tom Drane also made his way up to the lead group of six, to make the order Francis ahead of Drane in second, Roulstone, Grenfell, Thompson and Glenn Nelson. 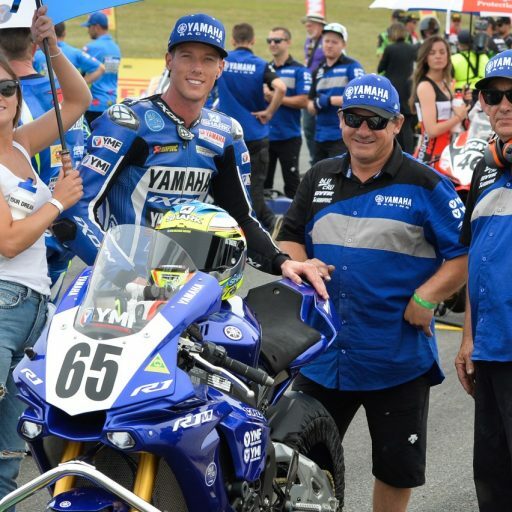 Front row starter Buchanan had a disastrous start to the race and was back in 16th place. The field largely held station until lap four where the arguing over the lead began, with the lead group of six going hammer-and-tongs into turns one and two, each rider fighting to be last of the late-brakers. Drane made a pass for the lead to bump Francis back to second spot, before Drane and Francis were both bundled back to fourth and fifth when Grenfell and Thompson decided they would like to lead for a little. The lead group of six was now building a substantial gap to best-of-the-rest Jacob Hatch in 7th, almost seven seconds off the lead. Lap six and Wakefield Park winner Thompson had really hit his straps, passing Grenfell for the lead. The racing was tight right down through the order, with the field splitting into three major ‘trains’ of riders. Two fallen competitors meant that Turn 1 was under yellow flags for most of the race, taking away a major passing opportunity but that didn’t seem to matter as the riders swapped positions almost everywhere else. The top six were really showing their class as the leaders built up a ten second lead from the chasing field. As the leaders reached for the finish line the lead group of six was covered by just over half a second, with Drane taking the honours from Francis who backed up his overall second place from Wakefield Park admirably. Roulstone finished fourth and Thompson, looking dangerous in the closing laps, was bundled back to fifth. Glenn Nelson rounded out the top six. 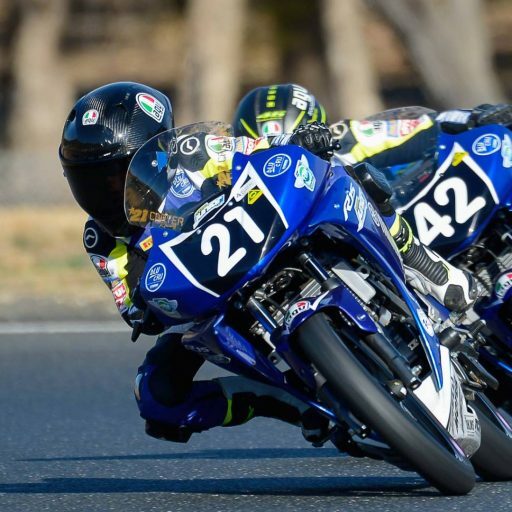 Round 2 of the 2019 bLU cRU Oceania Junior Cup continues tomorrow from the State Motorcycle Sports Complex in Broadford, Victoria. Keep up to date with all the information and updates from the Oceania Junior Cup on Facebook. 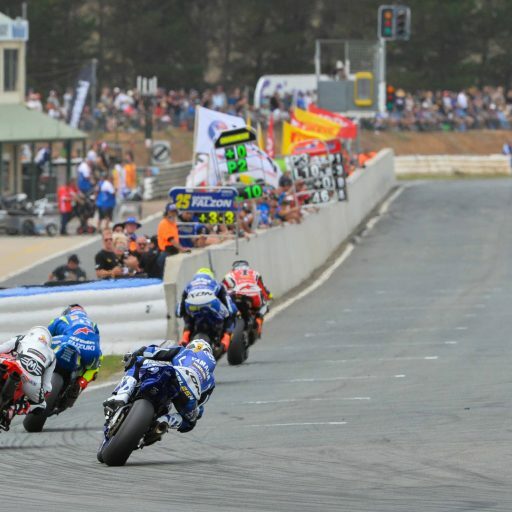 For more information about the Oceania Junior Cup, visit ASBK.com.au.